Whether it’s a close friend, family member or spouse or partner, living with someone addicted to drugs or alcohol can be a very lonely place. It is not just the person going through the addiction disease from a sufferer’s point of view that feels its devastating effects – it’s a family affair. It’s only natural to want to help the person you care about to fight their addiction but very easy to make matters worse by enabling addictive behavior unintentionally. It is often the best-intentioned acts that are the most detrimental to an addict which is why treatment at a specialist drug addiction treatment center is always recommended. Here we investigate the issue of enablement and how someone close to an addict can help them without worsening their addiction and putting them at more serious risk. If you have a child that is demanding to such an extent that if they don’t get their way, life isn’t worth living, it is all too easy to give in to their demands. All this does is enable the child to behave the same way the next time they want something that might be denied them. The same principle applies to addiction and someone in the grips of the disease can be powerfully persuasive when trying to get the drugs or drink they crave. Someone close to another in this situation is likely to find the aggressive behavior and very real physical symptoms of withdrawal that manifest when an addict needs to use extremely distressing and will often cave in to their demands. One of the most important thing for someone to learn when recovering from addiction is that actions have consequences and when someone close to them is supporting them a little too much in their addiction, they are shielded from having to face any consequences at all. The most distinct sign of addiction is an increase in anti-social behavior that can include stealing, lying, ‘forgetting’ to pay bills or letting people down at work or socially. This can put enormous pressure on the people closest to the addict that can often reduce them to telling ‘white lies’ or making excuses to cover up the truth behind bad behavior. Again, this serves to remove the consequences of the upsetting actions of an addict so that they are never challenged by others or forced to recognize they have a problem. Never seeing the damage done by a petty theft from an older generation relative or children being let down by a parent repeatedly is a sure-fire way for an addict to avoid confronting the very harsh consequences and realities of their addiction for others around them. Don’t fear the outcome. It’s easy to become preoccupied with the well-being of someone close who is suffering from addiction and what might happen if they are abandoned by others. However, without witnessing, understanding and absorbing the full consequences of addicted behavior, a sufferer will never be in the right state of mind to seek professional treatment for drug addiction. Set clear rules and boundaries. Loving someone with addiction without enabling them is possible with clear boundaries and rules in place. Make it known what happens if there’s a lapse into negative behavior so that the consequences are clear should that happen and then stick to implementing those consequences should the need arise. Structure is incredibly important in drug addiction treatment in order to build an effective framework for a life of sobriety. Admit the reality of the addiction. Someone with addiction issues took an initial and voluntary step to start using before falling into a world where all self-control was lost to the disease. Escapism is a significant fuel to addiction and for that reason; someone wanting to support and help an addict has to be firmly-footed in reality. Ignoring addiction does not make it go away and it can be a harsh reality for many to face, whether a sufferer or a loved one looking on. Seeing addiction for what it is – a disease – is the best mindset to achieve in the battle against it. Remember they can’t be ‘fixed’ by anyone. Before any steps can be taken to seek alcohol or drug addiction treatment, the sufferer has to be the one to confront it, accept it and reach out for help. This can’t be elicited by another person, no matter how close they are to them and is one of the main reasons many with addiction issues feel completely isolated from those around them. 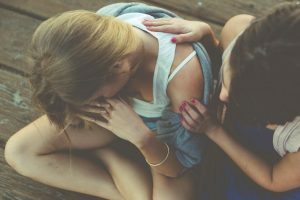 Knowing that someone can only fix themselves is important to know to prevent needless feelings of frustration and helplessness. Get Professional Help. There is plenty of help and support available for those with addiction issues but not many people know there is also support for people close to them. Speaking to an experienced therapist can help demystify addiction for families and encourage them in their endeavors to support a loved one. Ultimately, a program at a specialist drug addiction treatment center is the only way to be free from addiction and armed with the right advice, people close to addicts can pave the way for their loved one to take the first step towards a drug addiction treatment program of their own volition.